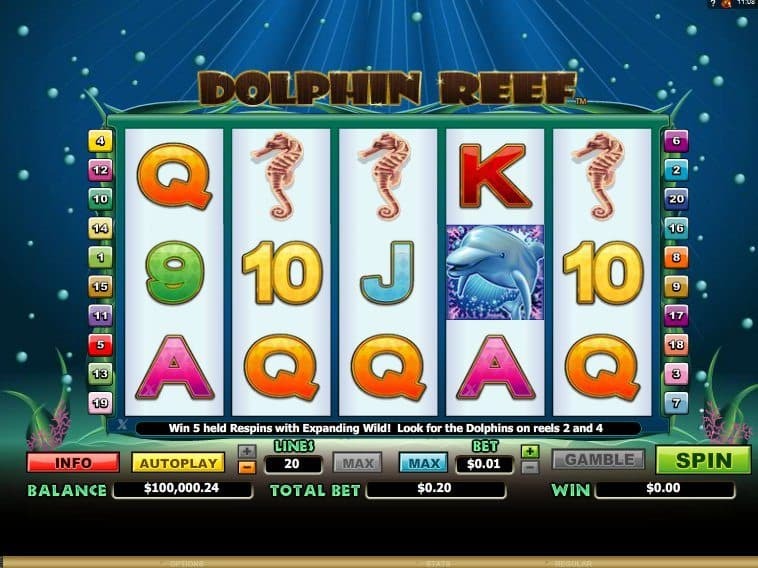 How to Win Dolphin Reef Slot? Before you dive into the sea for exploring the reef, you have to adjust your wager. By clicking the “bet” option, you can choose a coin size between 0.01 and 5. 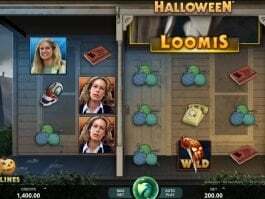 All pays from this game are made from left to right. The scatter pays from either direction. 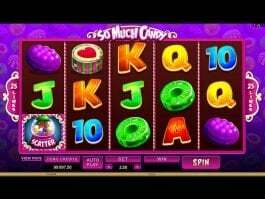 When three scatters appear on reels, your win is multiplied by the amount staked. 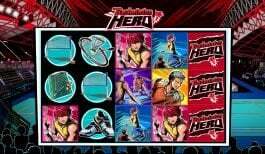 When dolphin symbols appear on 2nd and 4th reels, re-spin bonus feature is activated. After the triggering of bonus feature, the dolphin symbol expands throughout 2nd and 4th reels. 1st, 3rd and 5th reels spin for 5 times. Dolphin acts as the wild symbol and replaces all symbols including scatter to form a winning combination. 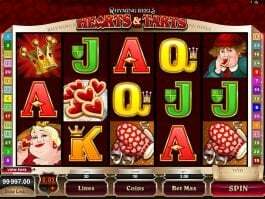 Treasure chest is the scatter symbol and when 3 such symbols are matched, you get a payout, which is multiplied by the amount you have wagered. Clown fish is another important symbol. Matching 5 clown fish symbols on an enabled payline offer you 5,000 coins. 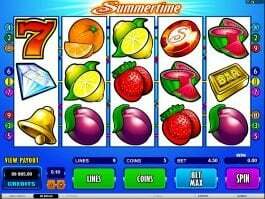 After a regular win, you would be offered the gamble option. You can play this by predicting the next playing card. 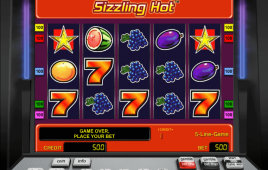 Guessing correct suit quadruples your win and predicting right color doubles it. Dolphin Reef provides everything under one roof including re-spin and gamble features. Become rich by using these features and soak yourself in a relaxing soundtrack.